John Reid‘s career to date has shown him to be a pianist of notable versatility and range, with wide experience as an outstanding chamber musician, song accompanist, soloist and exponent of new music. Increasingly in demand as a teacher, he is a professor at the Royal Academy of Music in London. In November 2017, he made his concerto debut in Germany with the Deutsche Philharmonie Merck (Brahms No. 1) and he continues his collaboration with Aurora Orchestra, both as principal pianist and as a soloist in a series of the complete Mozart concertos at Kings Place in London. He also plays regularly with Birmingham Contemporary Music Group. 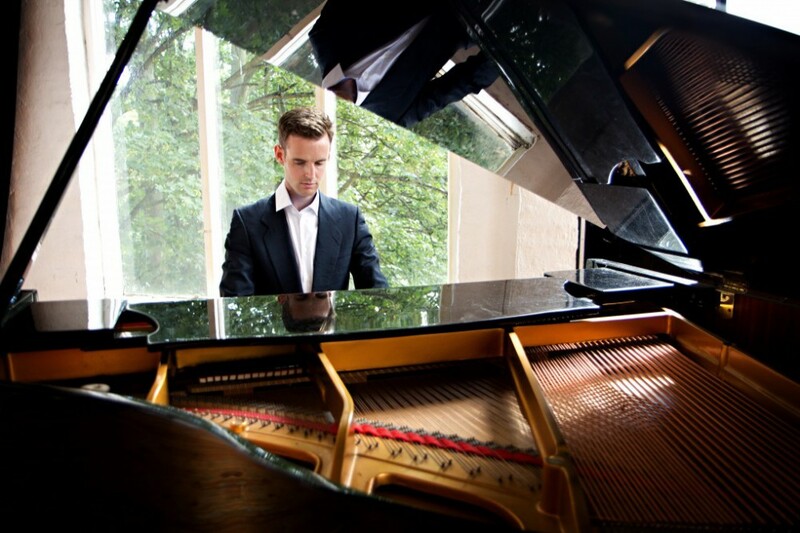 Much in demand as a guest pianist with a number of other leading ensembles, he has performed recently with London Conchord Ensemble, Archangelo, London Haydn Project (Mozart concertos K.271, K.595 and K.453) and The Sixteen (a Schumann and Brahms series in London, Manchester and Bruges). He was invited to programme a concert series for the Britten centenary at Kings Place, which incorporated new works by Simon Holt, Jonathan Dove and Martin Suckling; and he has performed regularly in recent seasons at The Sage Gateshead, both as a guest of the Royal Northern Sinfonia chamber music programme and as a Samling Artist. Over the course of fifteen years, John has partnered many of the UK’s leading singers and instrumentalists. During the 2018-19 season, he begins a series of recitals with violinist John Crockatt, exploring Mozart and Beethoven sonatas on period instruments; he also works with countertenor Iestyn Davies, violinist Mathilde Milwidsky, mezzo-soprano Diana Moore and pianists Sam Armstrong and Andrew Matthews-Owen. A parallel interest in cross-arts collaboration has led to concerts with Poet in the City, the writer John Hegley, the flamenco dance group Dot Dot Dot (in the first performances of Los Nacimientos by Tom Randle at the 2017 Buxton Festival) and the artist Will Lindley. Recordings include trumpeter Matilda Lloyd’s debut recital album (Orchid Classics: 2018); Brahms Horn Trio and other repertoire with Etienne Cutajar and Carmine Lauri (released in April 2019 on Divine Art); trios with the Emanuel Ensemble (Champs Hill Records) and premiere recordings of music by Emily Hall (Befalling, and Life Cycle, both with Oliver Coates and Mara Carlyle), York Bowen (works for two pianos, with Michael Dussek for Dutton Epoch), Clifford Benson and Rhian Samuel. He has recorded numerous times for BBC Radio 3. John Reid studied at Clare College, Cambridge and at the Royal Academy of Music with Michael Dussek. His teachers have also included Christine Croshaw, Malcolm Martineau and Rudolf Jansen. He was a recipient of the 2004 Gerald Moore Award and the 2003 Kathleen Ferrier and Maggie Teyte Pianist Prizes, and he is now an Associate of the RAM.